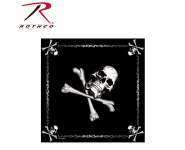 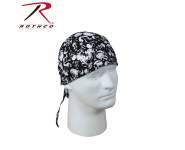 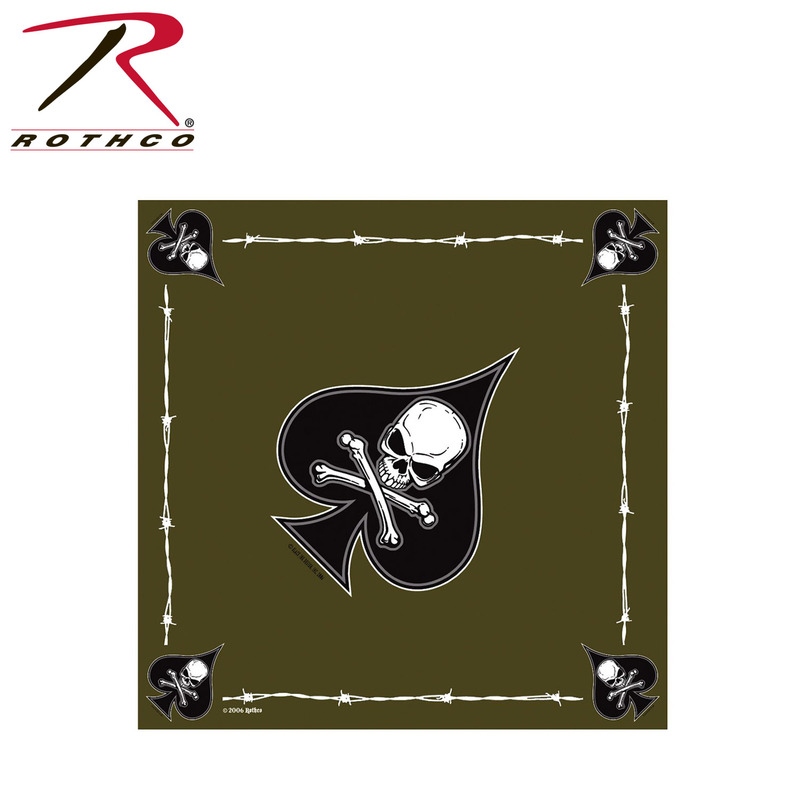 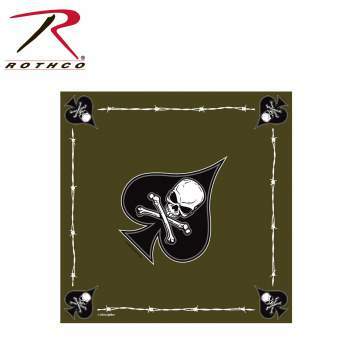 Rothco’s Death Spade Bandana features a black spade with a white skull and crossbones in the center and around the border. 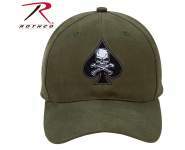 American Soldiers often wore an Ace of Spades on their helmets during the Vietnam War because of the beliefs that the spade meant death and ill-fortune. 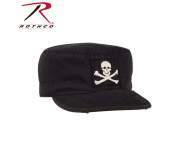 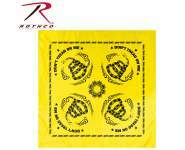 The 22” x 22” 100% cotton bandana is sewn on all four sides and can be worn under hats and helmets or all by itself.